With heavy hearts we announce Jim’s passing on March 19, 2019, following a brief illness, surrounded with the love of his son and daughter. Jim was the cherished husband of the late Marilyn; dearest companion and “Honey” of Cecile Bourgeois. Wonderful, caring father of Dianne Miller, John Prescott and his wife Andrea. Proud Poppa of Brock, Dylan, Hunter, Logan & Chelsea. He will be lovingly remembered by his sister-in-law Aureen Landon. Jim retired from General Motors after 38 years of service. 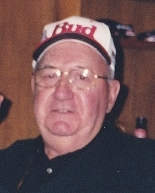 He will be remembered as an avid member of the Corvettes of Durham, supporter of Ducks Unlimited and his love of NASCAR. A Celebration of Life will be held Saturday, March 30th between 11:00 a.m. and 2:00 p.m. at the Holiday Inn & Suites Bowmanville, located at 37 Spicer Square. Please join us to share your memories. Donations in memory of Jim to Hearth Place Cancer Support Centre in Oshawa or any charity of your choosing can be made through McINTOSH-ANDERSON-KELLAM FUNERAL HOME LTD. 152 King St. E., Oshawa (905-433-5558). Online condolences can be shared at makfuneralhome.com. Our sincere condolences go out to Dianne & Johnny & families. So sorry for your loss. Sorry we cannot attend Jim`s Celebration of Life as we are still in Florida, but our thoughts & prayers are with you all. Our deepest sympathy to Dianne & Johnny Andrea & families. Our thoughts and prayers are with you. Sorry we can not be with you as we are still in Florida. JIm was a great friend and will be missed by all. Sorry to hear of Dad passing on. I cherish the memories of Mosport, Watkins Glen and The Indy 500 being with him and friends. I'm so blessed for his kindness over the years growing up in Ontario. Big Hugs to you both and your children. So sorry to hear of your Dad’s passing. So many memories to be shared. Love you all. I was so sad to hear about the passing of your Dad...to me years ago, "Uncle Jim"
Although it has been many, many years since I have seen your Dad (or you guys for that matter), I have so many wonderful memories of all of you, including your Mom. I remember your Dad's wonderful, kind and generally quiet nature...and his distinctive, hearty laugh! May YOUR wonderful memories help to comfort all of you at this difficult time! Just wanted to send our sympathy to you, Andrea, Brock and Dylan, following your Dad’s passing. We are not able to make the Celebration of Life on Saturday. Obviously your father led a very active and interesting life. He will be missed by family and all who knew him. How saddened I am to hear about your dear Dad. It was my honour and pleasure to know him and help care for his dental health for over 40 years.